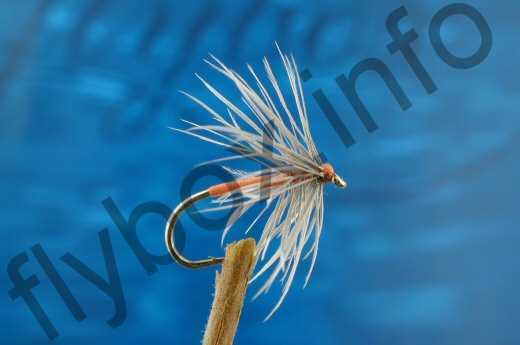 The Dun and Orange is a very effective pattern when the spinners are on the water. Body : Waxed orange thread. Palmered Shoulder Hackle : Starling underwing or light hen. Currently there are no comments about the Dun and Orange fly pattern from other fly fishermen yet.